Here is the Renegade Roundup that I sent all college employees on January 1st. Several of us have been working this last week on an application to the Department of Finance (DOF) Innovation Award. It is a somewhat unusual application in that we had to describe what we’ve accomplished, instead of the more usual description of what we hope or plan to do. As this group worked to articulate what we’ve done, a picture also emerged for me of how connected we have become as a campus community. I believe that it is this connectedness that has made it possible to do what we’ve done. And what a year 2014 has been. I would like to share with you a sampling of our accomplishments for 2014. This is actually an excerpt taken from a larger document that I submitted to the Chancellor on December 22nd, on the State of Bakersfield College. Fair warning: We did a lot, so this is a long Roundup. Information is organized under the six strategic goals of the college. The goals are in the current Strategic Plan (2012-2015) which sunsets this year. College Council has commissioned a taskforce to evaluate the work completed and to develop the next Strategic Plan (now called the Strategic Directions, SD, of the College) for the next three years 2015-2018. The SD Taskforce completed their evaluation of each of the activities under each strategic goal.In addition to the six strategic goals, this section also spotlights some of the institutional work that was completed in 2014. There has been a significant amount of targeted student success work this last year primarily driven by the SSSP and Equity legislation. The work on student success has been integrated with the work on equity, which is looking at the performance of all subpopulations and identifying those that are disproportionately impacted. See table above. We have a group working on the African American Initiative and the Latino Initiative. Disabled Student Programs & Services (DSPS) served over 1,000 disabled students, and each must have four “contacts” with the department—resulting in a minimum of 4,000 contacts with the service. The department provides guidance to ensure compliance with accommodation requirements under Section 504 and the Department of Education’s Office of Civil Rights. Financial Aid: Financial Aid disbursed $44,000,000 in financial aid and served over 53,000 walk-in inquiries. In addition, Financial Aid awarded nearly $700,000 in scholarships to over 680 students. The department established an electronic scholarship management system for application, selection and disbursement of scholarships, significantly reduced aid processing time so delays are less than half of previous wait times, facilitated and managed BC’s Perkins loan closeout and resolution, and established a Loan Default Prevention program that increased pre-loan counseling and reduced the amount of loans taken and reduced the loan default rate by 10%. Outreach and School Relations: Outreach efforts increased BC’s presence at local high schools; for example, 27 presentations were made in October 2014. Planning metrics map outreach events, orientations, testing and advising at each service region high school. The curriculum for orientation programs was revamped, ensuring SSSP and Title IX requirements are met. There has been significant collaboration with KHSD. Some specific activities include training High School counselors at BC; we had three of these sessions. We also offered training for counselors and Assistant Principals at KHSD. Early Alert: Established a web-based early alert program that is customized to the college’s student support services and programs. A faculty counselor assumed primary responsibility for managing and organizing this system, and coordinating responses and activities for each referral. Approximately 1,600 alerts were generated – many with multiple referrals for interventions and services. Curriculum: The Curriculum Committee has focused on Professional Development for committee members, faculty leads, support staff and educational administrators. Faculty leads regularly scheduled curriculum/assessment clinics to better inform and support faculty and share best practices in facilitating the curriculum review processes in order to meet state mandates (e.g., completed Student Education Plan Pathway as a required element for the approval of all new programs). In order to better assess curriculum proposals and the impact of proposals on other disciplines, a High Unit Justification Form has been adopted by the committee. Overall for 2013-2014, 104 courses were revised, 41 new courses developed, and 75 deleted. The committee also recommended the deactivation of 14 programs; 27 new programs, 18 of which were ADTs; and 4 program modifications. In addition, 147 courses were submitted for C-ID approval, 106 of which have been approved. In the new academic year, since August 2014, 56 courses have been revised, 9 new courses developed, and 82 deleted. The committee also reviewed and recommended the deactivation of 13 programs (degrees and certificates) and 7 new programs, 3 of which are ADTs: Philosophy, Agriculture Business and Agriculture Plant Science. A separate briefing paper has been developed on Degrees at Bakersfield College, which is submitted along with this document. Educational Master Plan: This Educational Master Plan represents a collaborative effort within the Bakersfield College community to bring together key information that will guide and inform the college through 2017. A core team made up of administrators, faculty, and staff gathered documents that analyze academic areas of study for all students, including grant proposals and updates, new initiatives, instructional program reviews, and multiple sources of state, county and local data. The 2014-2017 Bakersfield College Educational Master Plan was approved by the Bakersfield College Academic Senate on October 29, 2014, and by the College Council on October 31, 2014. BC has done significant work in this area. March 14, 2014: Point or Origin Data Conference. Learn@BC! Keynote: Kurt Ewen, Institutional Effectiveness, Valencia Community College. October 14, 2014: Kern Ag Summit. Learn@BC! Speakers included: Karen Ross, California Secretary of Agriculture; Paul Wenger, California Farm Bureau President; Rep. Kevin McCarthy, House Majority Leader; Senator Jean Fuller; and Congressman David Valadao. Budgets: In March of this year BC hired a new Vice President of Finance and Administrative Services. Since his arrival, Dr. Culpepper has been focusing on increasing the budget literacy on campus. Several budget workshops have been held in the past eight months. The participants in the workshops have consisted of all Budget Managers, Department Heads, Deans, Administrators, Faculty, and support staff. It should be noted that the Vice President’s position is a part of a broader reorganization plan that was accepted and approved by the College Council earlier this year. The Team commends the College President for her enthusiasm, community spirit and speed in which she was able to bring the vast range of college services and educational programs into the conversations with local community and business leaders. As reported by one Chief Executive Officer of a local business organization, the College is now an important resource that is available to the community because the College President has taken the time to bring that message and those resources into the Bakersfield community. The College websites have been significantly improved this year. The search capabilities are better and the content is media rich, which increases the transparency and level of trust at the institution. Please take a moment to check out the website and particularly the President’s website at https://www.bakersfieldcollege.edu/president. The Renegade Report in fall 2014 was a partnership with the Bakersfield Californian with 15 weeks of web streaming shows promoting Renegade Athletics. Successfully collaborated with community members and the Renegade Football Club to restore the football field. This partnership project served to restore confidence and build relationships. Developed collaborative model to reestablish Kern High School District football games at the Memorial Stadium during Fall 2014. Including summer 2014 Projects, about $371,883 has been spent on technology for general projects so far. The nursing program replaced 100 old laptops with new laptops and also replaced a few staff and faculty laptops. Four classrooms in the Science and Engineering building received technology upgrades. Several new employees were hired for our Student Success initiatives and technology was purchased for them. Both the Assessment Center and Library room 148 received new computers as part of the hardware replacement plan. The new Performing Arts building received new phones, wireless and staff computers. Eight classrooms in the Humanities building received a technology refresh with new short-throw projectors. 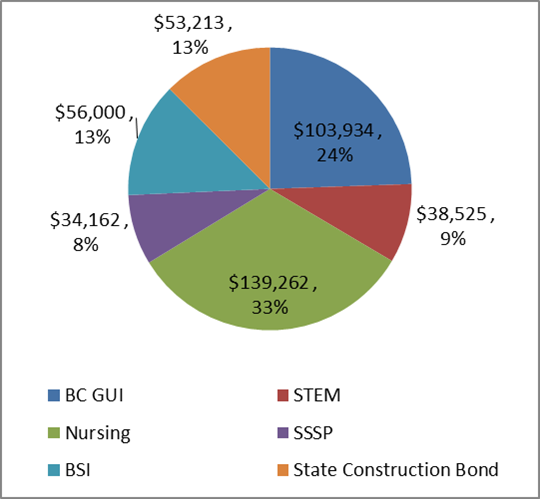 Of these projects, only about 24% was funded out of the BC general fund. There has been about $99,500 spent on ISIT requests so far. The AG building was refreshed with technology. One of the ASL classrooms received a new computer and short-throw projector. Cabling was improved in the LA building. Several large lecture halls received new projectors. Finally the Performing Arts building received a new Mac lab. Of these projects, only about 45% was funded out of the BC general fund. BC continues to move forward with catching up from the previous budget cuts that left the campus in a state of disrepair. With the last three summers behind us, the campus has seen 22.3 million spent toward maintenance, repair, grant and modernization projects. Most of these funds came from SRID bond, state funding, grants, donations and some came from General Fund. The campus-wide landscaping programming, sprinkler head replacement and campus wide Fire Alarm upgrades will be the main focused projects for the summer of 2015. The focus will be sustainability, safety and preventive maintenance. Facilities is working on implementing a campus lock down system. Major construction projects include but are not limited to the new ABC Building, Language Arts Building Swing Space, Campus Center Remodel, Performing Arts Bathroom Project, Addition of Cooling to the Gymnasium, Student Services Elevator project, Maintenance and Operations building, Campus Wide Path of Travel, Practice Field Upgrade, Practice Field Lighting, New air handlers and tie in to the chiller loop for student services, Gym chiller loop tie in, Prop 39 year two exterior light replacement, AERA STEM Building, and STEM neighborhood. The SD Taskforce’s evaluation of the 15 actions under oversight and Accountability is shown below. In addition, this section includes brief updates on the budget and institutional scorecard. The chart indicates the percentage of the budget remaining for each major department over the next six months. As indicated, each area’s remaining available budget exceeds 50% of its respective allocation of the Adopted Budget. This is an indicator that the various departments are efficiently managing and controlling their budgets. 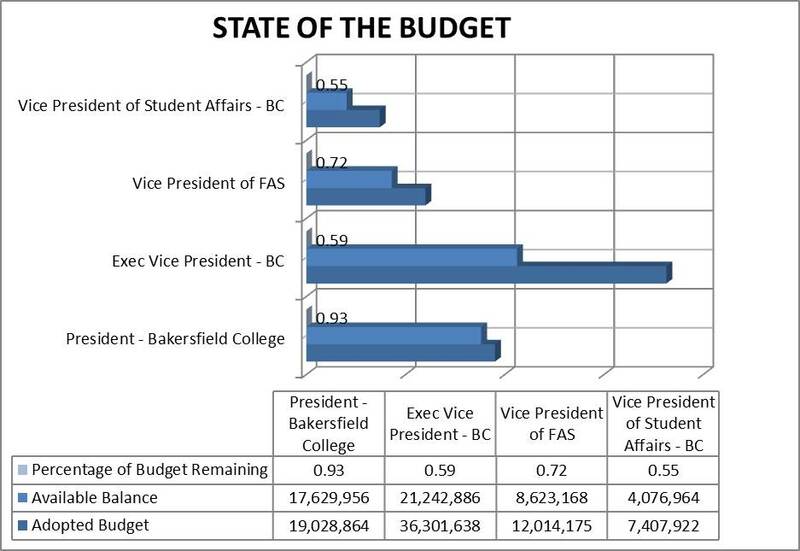 Overall, the remaining balance in the college budget represents approximately 69% of the adopted budget. It should be noted that the President’s budget includes the District Office transfer to cover service expenditures. The transfer amount is approximately $16M. If this amount is deducted from the President’s adopted budget and available balance, the percentage remaining would be approximately 54%. BC’s current reserve is approximately $4.1M, which represents approximately 7% of its operating budget 2014-15. In order to be in compliance with Board Policy, a 3% college reserve is required. It should be noted that part of the $1.1M start-up costs for the BAS program may be used from the reserves. The College has already secured $130,000 toward this cost. The projected growth for the District is 2.75%. BC has used a 3.4% growth factor to project the funded FTES growth over the next five years. As a part of its strategic plan, BC anticipates the new BAS program to contribute 200 FTES to meet this growth. BC’s strategic plan includes leveraging its newly constructed infrastructure to enhance its fiscal sustainability. The Manager of Community Relations and Events Development is a new position that has been directed towards bringing major events to campus as a profit generating enterprise unit with the model showing that in three years this enterprise unit will regularly provide a revenue stream for campus facilities and infrastructure upgrades. All of the work at the college has proceeded with significant integration among the 12 campus-wide committees and the administrative leadership. Accreditation (https://www.bakersfieldcollege.edu/employees/accreditation): In May, 2014, BC began its work on the Midterm Report with an Accreditation Boot Camp. As issues or problems have been identified, teams have worked to solve them. The Midterm Report process has also played an integral role in responding to College Recommendation 1: Develop and Implement Evaluation Processes to Assess Effectiveness of the Full Range of Planning Processes. Over fifty faculty, classified staff, and administrators have worked on the Midterm Report. Final drafts of each of the fourteen sections of Standards I through IV were due in December. The draft report will be shared with the college and the Board of Trustees’ subcommittee on evaluation/accreditation. The report will then go through the governance committees for approval before coming to the full Board of Trustees. Bakersfield College provides opportunities for students from diverse economic, cultural, and educational backgrounds to attain degrees and certificates, workplace skills, and preparation for transfer. Our rigorous and supportive learning environment fosters students’ abilities to think critically, communicate effectively, and demonstrate competencies and skills in order to engage productively in their communities and the world. 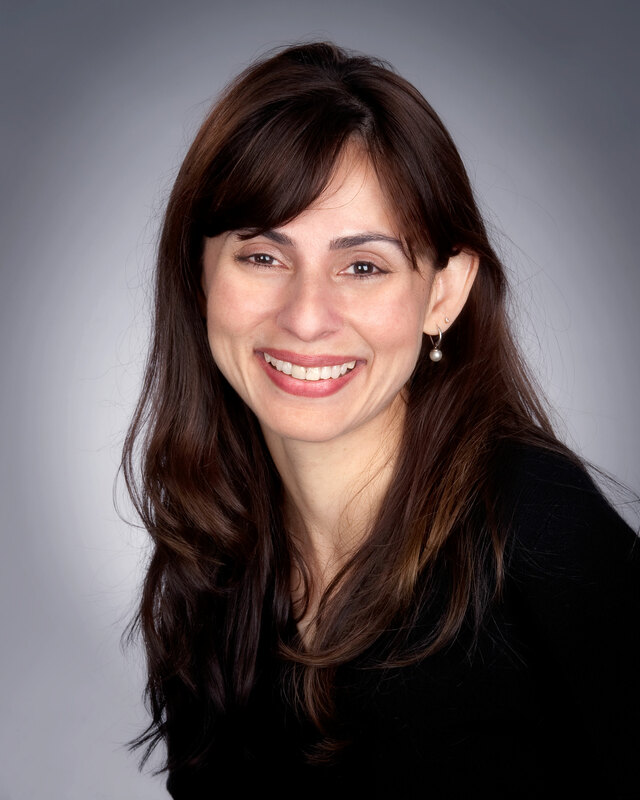 Program Review (https://committees.kccd.edu/bc/committee/programreview): In spring 2014, the Program Review Committee (PRC) introduced the Comprehensive Program Review that instructional programs would complete every three years. Approximately one-third of instructional program completed the new process in the fall of 2014. In December PRC had reviewed 89 instructional programs and the 16 administrative or student service units (non-instructional) across the College. It also provided information to help recommending and decision-making bodies such as the ISIT, Facilities, Assessment, Curriculum, and Professional Development committees; FCDC; College Council; and the College President in the resource allocation process. The President’s Closing the Loop document is a response to the needs identified in the program review process. BC in State-wide Leadership: BC is involved in several state-wide initiatives. Examples include: Common Assessment Initiative (CAI) Steering Committee, Multiple Measure Pilot College, CAI Pilot College, Multiple Measure Steering Committee, Scorecard Steering Committee, Education Planning Initiative Steering Committee, and Online Education Initiative Basic Skills Sub Committee. Mark your calendars and join us for as many of these events as you possibly can. All the events happening on campus are posted online. April 23, 2015: Lean@BC! Equity and Inclusion Second Annual Conference. That’s all for now….. Until next time.